Mummy Of 3 Diaries: New Shoes! Last week my girls, Chloe and Lily went back to school after what seemed to be the longest Summer break EVER. I can't believe my eldest daughter Chloe is now in Year 5, when did she get so big? She's a fussy little lady when it comes to her shoes, she wants shiny, she wants Girly AND she wants heels. She doesn't want much, does she? So when we were offered the chance to join in the Shoe Zone Back To School Blogger Challenge we were more than happy to accept. We were asked to choose a pair of School Shoes (for free) from their online site for Chloe to try out and review. 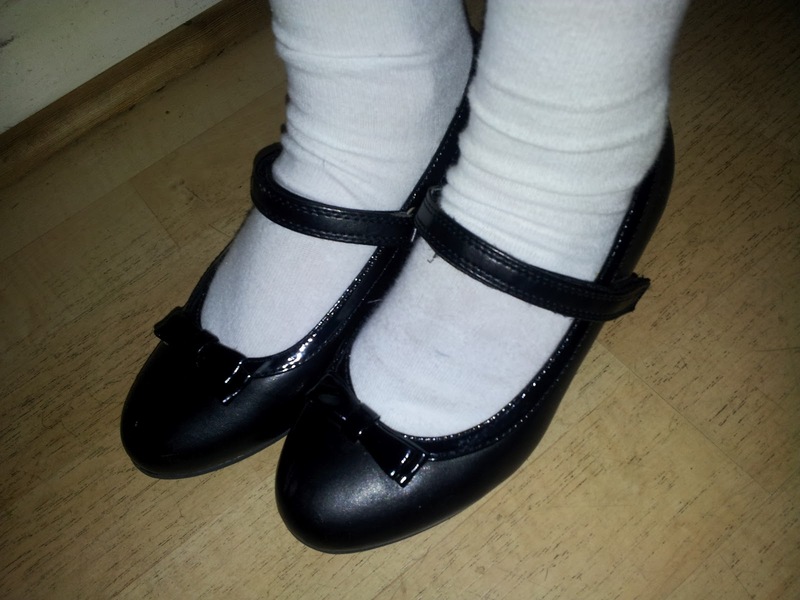 There were so many lovely pairs of shoes that I thought Chloe would love but after a long deliberation I finally decided on a cute pair of Walkright Girls Low Wedge School Shoe in Black. Priced at just £12.99 they seems a great buy. They had a nice heel, were girly and also very pretty. I really liked these ones and was pretty confident that Chloe would love them too. I was right! Chloe loved them, She was very excited about the wedge heel and really liked the pretty bows on the front. She prefers shoes without straps but as a concerned Mummy, I prefer school shoes with a strap so that I know the shoe is going to stay on if she's running and not cause any trips or falls. Yes I know, I'm an over protective mum but who isn't? We all want to make sure that our kids are safe, it's our first priority and definitely mine when it comes to choosing shoes. With this pair I made a big compromise. I gave her the heel she had wanted but also made sure they had straps to secure her feet at the same time. These shoes were win, win for both of us. We were both happy! They don't cost very much and they look great. They're very comfortable to wear and Chloe has had no problems with them at all. She been wearing them for over a week now and they've been great. I've not had any complaints or moans which means they've got a well deserved thumbs up from her and they definitely got a fantastic 5/5 from me. 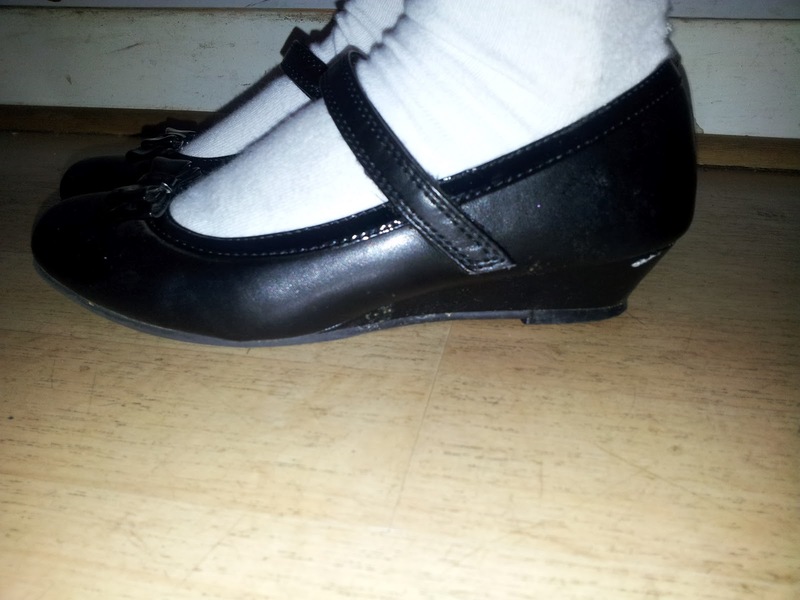 I've bought school shoes from Shoe Zone before and I would do again. There's a fantastic selection to choose from and the prices are very low. So even if your child is like mine and goes through several pairs a year, at this price you won't mind so much. Why not check out Shoe Zone for yourself.